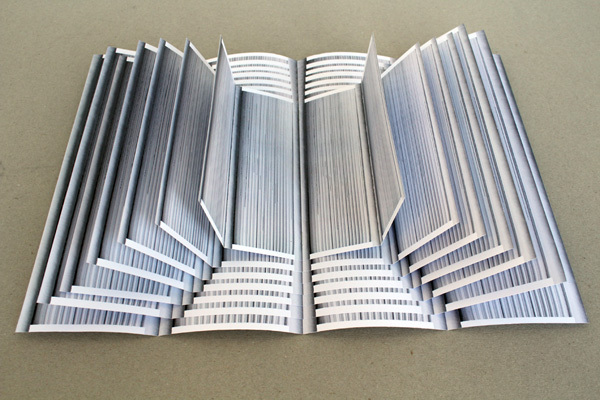 Ximena Pérez Grobet, founder and owner of Nowhereman Press, has been creating her own artist's books since 1994. Her work has been shown in galleries, book fairs and museums throughout Europe, USA, Mexico and Latin America. She also collaborates with other artists and collectives, producing artists' books and special editions. 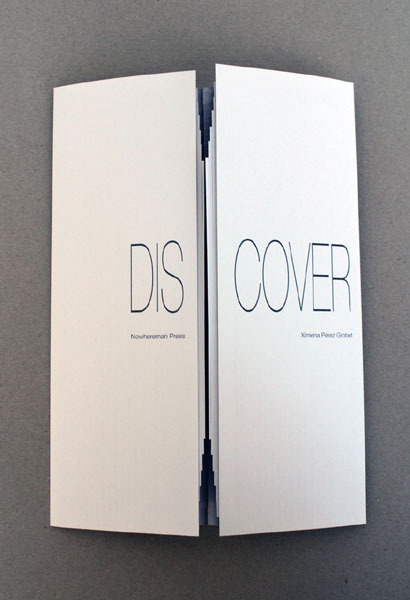 Cover (2018) is part of AMBruno's Cover collection. 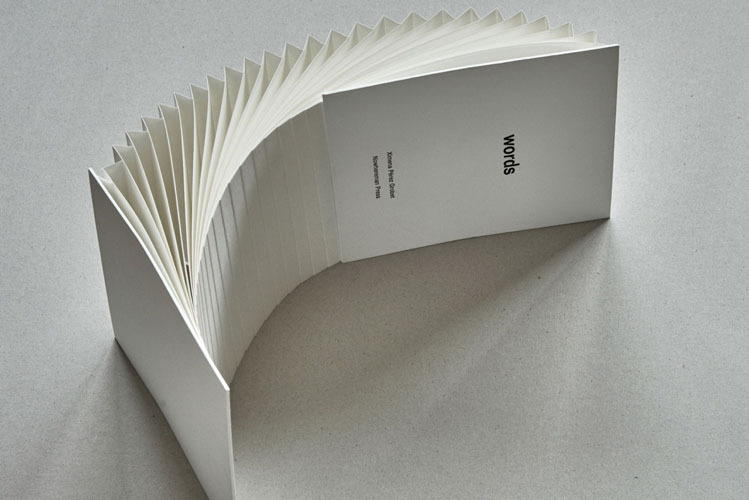 This book plays with the idea of the cover, what is it for and the word dis-cover. 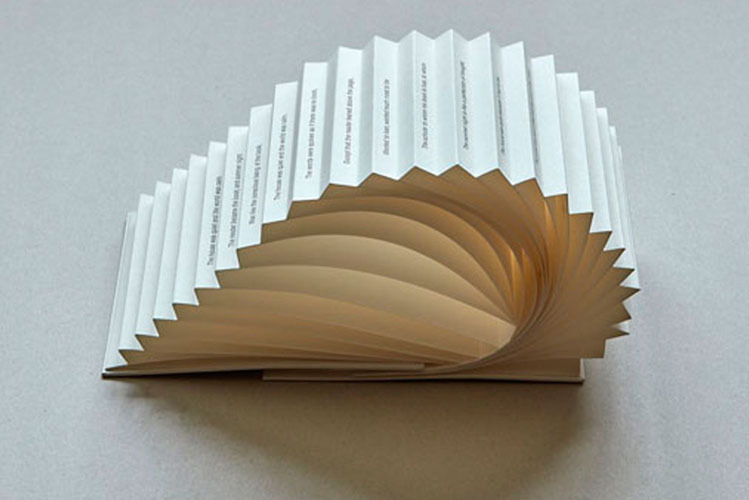 When you open a cover you discover the book. 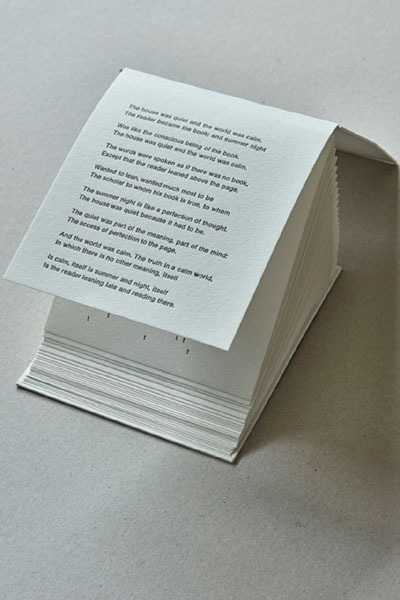 This book is made of only covers with shows the content of the book closed and the series of covers become the content of the book, playing with a geometrical vision of all the covers all together. Edition of 50. Digital printed. Signed and numbered by the artist. 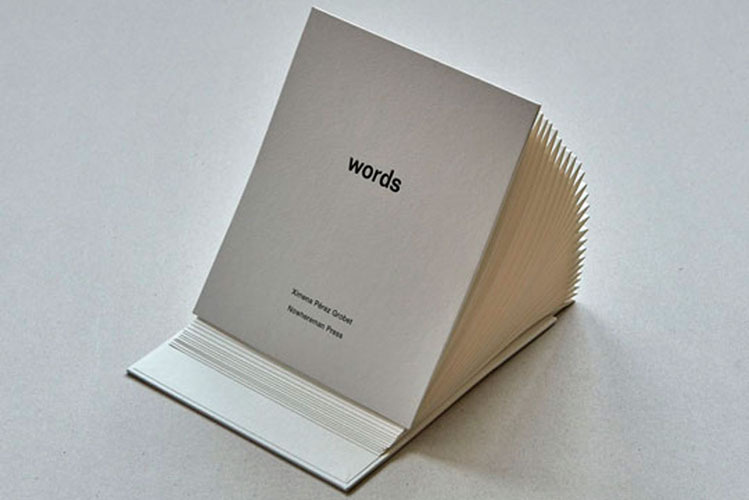 Words (2016) is part of AMBruno's words collection. Cordenons wild white 150 gm paper. Typeset and letterpress printed by the artist at Granja Gráfica Studio, Barcelona. Bound by Poncho Martínez. 30 copies signed and numbered by the artist.